Links to online resources that will assist you in helping your child thrive on campus. Access to online news sources, campus events, and administrative policies. Everything you’ll need to know about visiting Rochester. In your opinion, how likely is your student to ask for social and/or emotional help from on campus resources when needed? Getting Ready for College; Everything You Need to Know Before You Go - From Bike Locks to Laundry Baskets, Financial Aid to Health Care by Polly Berent. 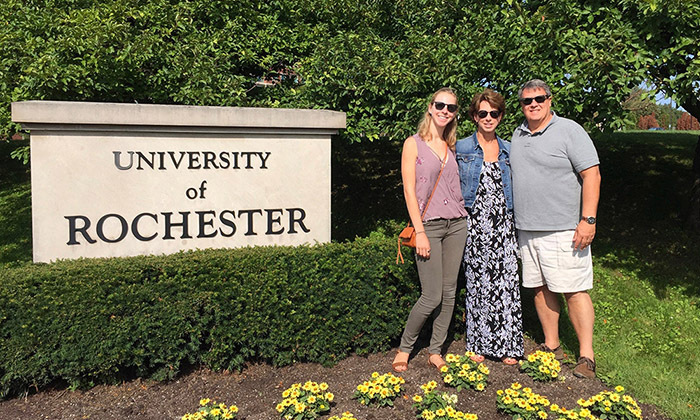 Letting Go: A Parents' Guide to Understanding the College Years by Karen Levin Coburn and Madge Lawrence Treeger. Don't Tell Me what to Do, Just Send Money by Helen Johnson and Christine Schelhaus-Miller. You're On Your Own (But I'm Here if You Need Me): Mentoring Your Child During the College Years by Marjorie Savage. Empty Nest...Full Heart: The Journey from Home to College by Andrea Van Steenhouse. Getting Through College Without Going Broke: A Crash Course on Finding Money for College and Making it Last by Students Helping Students. Each year, the Office of Parent and Family Relations invites seniors to pen a note to honor their parents and families. We share a small sampling of messages from the Class of 2018 here. Students come from all 50 states and more than 130 countries. Most undergrads live on campus for all four years of their college experience. 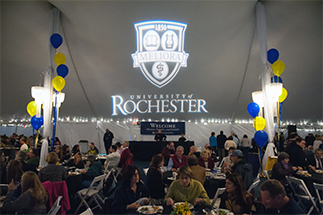 At the University of Rochester names of departments, offices, programs, and more are commonly referenced by an acronym or abbreviation, rather than their full name. We recognize that this might pose confusion for parents, families, new students, or other individuals not familiar with the University. View a list of our most commonly used acronyms and abbreviations with links to respective web pages for more information. Do you have thoughts on ways we can improve our communication with you? Please let us know. 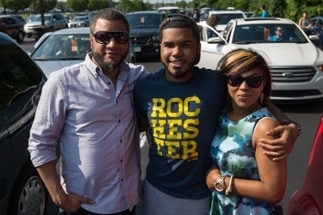 Parent & Family Relations is a unit of the Office of the Dean of Students.